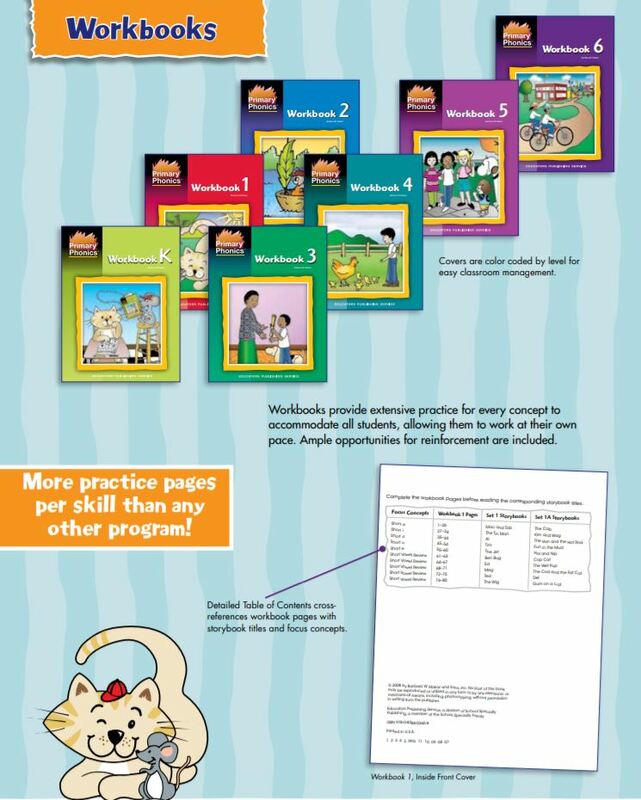 Workbook 5 reviews concepts taught in previous Primary Phonics workbooks and introduces additional vowel combinations, the qu combination, the three sounds of y, and special sounds and patterns for the letter a (i.e., water, ball, and palm). 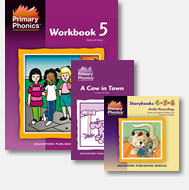 It also teaches the long vowel at the end of a syllable found in such words as, be, we, so, and no. Grade 2. 80 pages, softcover.